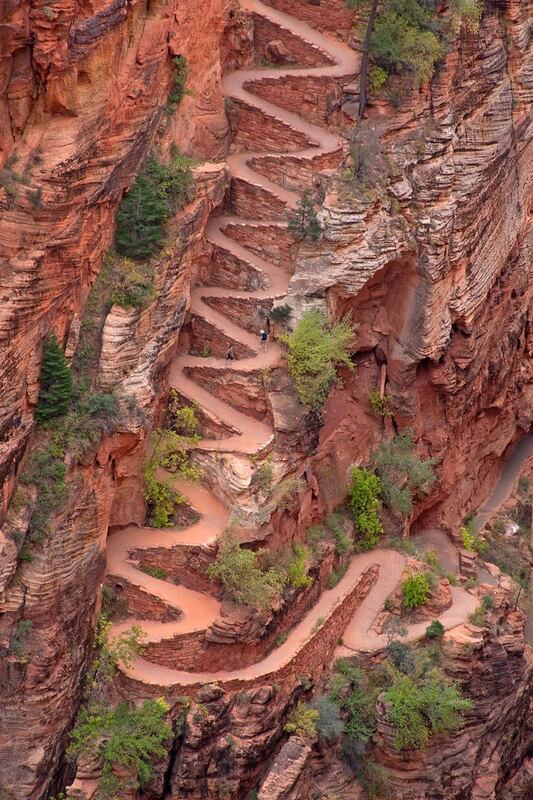 Walter’s Wiggles on Angels Landing Trail viewed from above in Zion National Park, Utah, USA. Walter’s Wiggles are a series of 21 short switchbacks carved into the face of the cliff, the serpentine switchbacks steeply ascend the north face, each wiggle no more than 20-25 feet in length. 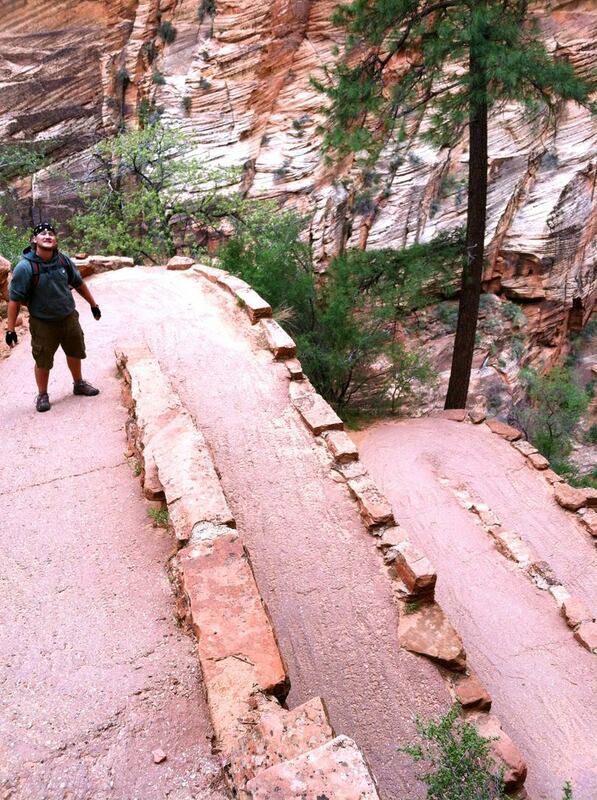 The trail was cut from a sheer drop of solid rock in 1926 and remains one of the park’s most spectacular construction wonders. 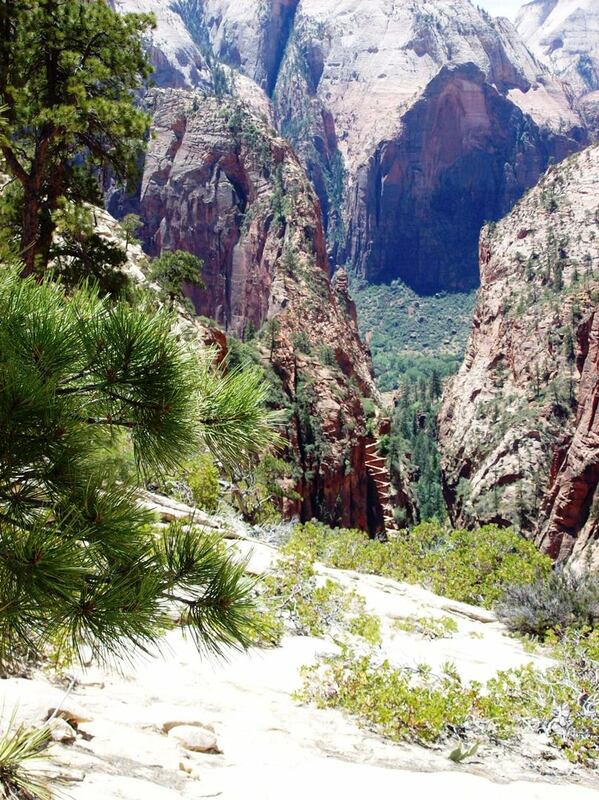 The top offers wonderful views of Zion Canyon. This area was protected as Mukuntuweap National Monument by President William Howard Taft in 1909 and was later renamed Zion National Park. 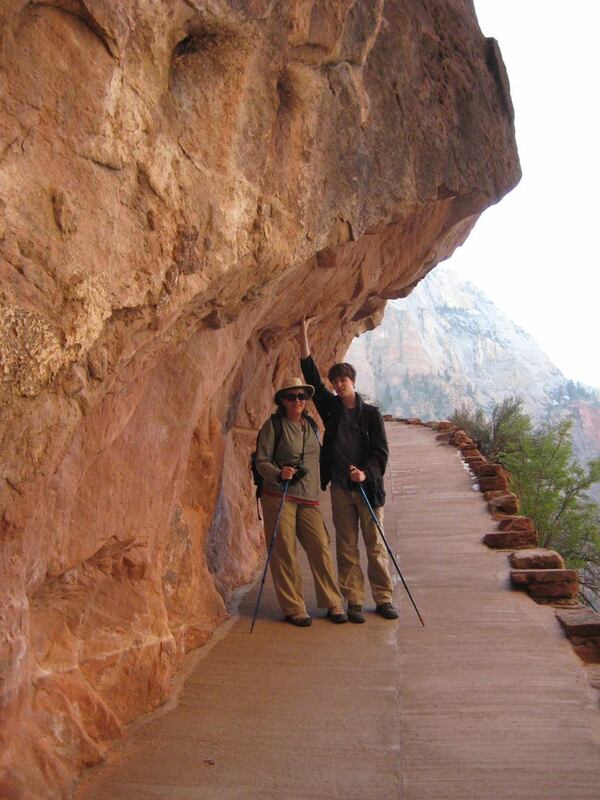 Zion is located on the Colorado Plateau, but borders the Basin and Range Province. Elevations in the park vary from 3,600 to 8,700 feet, allowing for a wide range of animal and plant life, all of which are adapted to the area’s arid conditions. 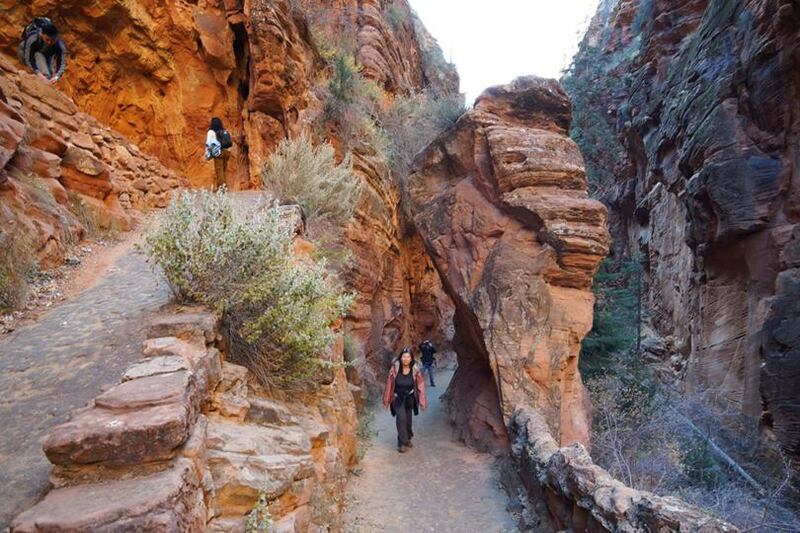 Elevation differences and geologic processes such as tectonic uplift, erosion, and sedimentation have created environments ranging from high plateaus and riparian environments to deserts and deep sandstone canyons. 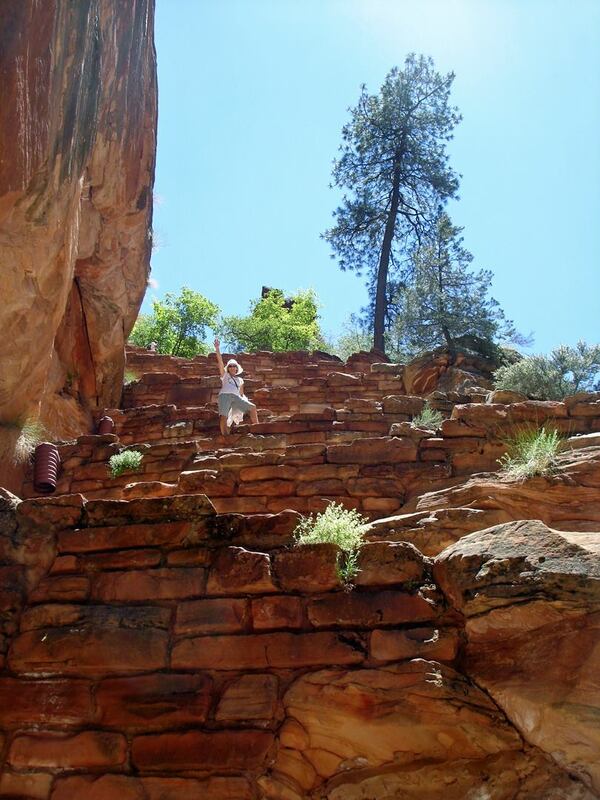 The park is located in Washington, Iron and Kane Counties in southwestern Utah. 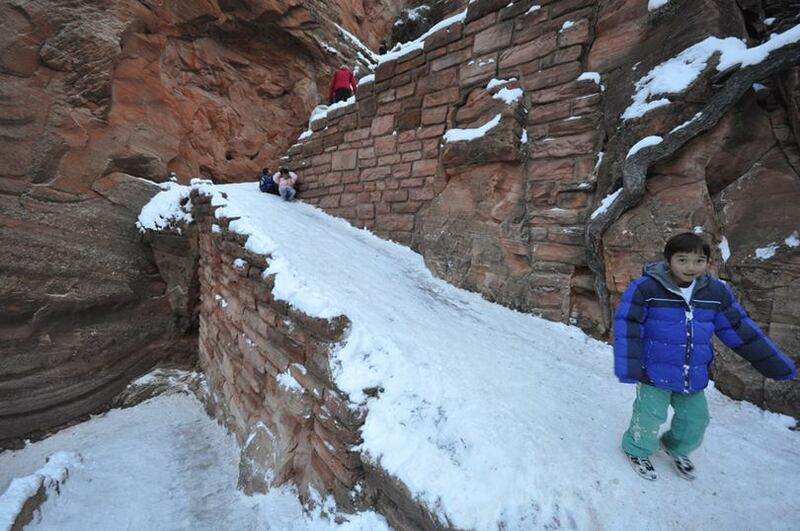 The top of the switchbacks at The Notch us enter the remarkable Refrigerator Canyon. 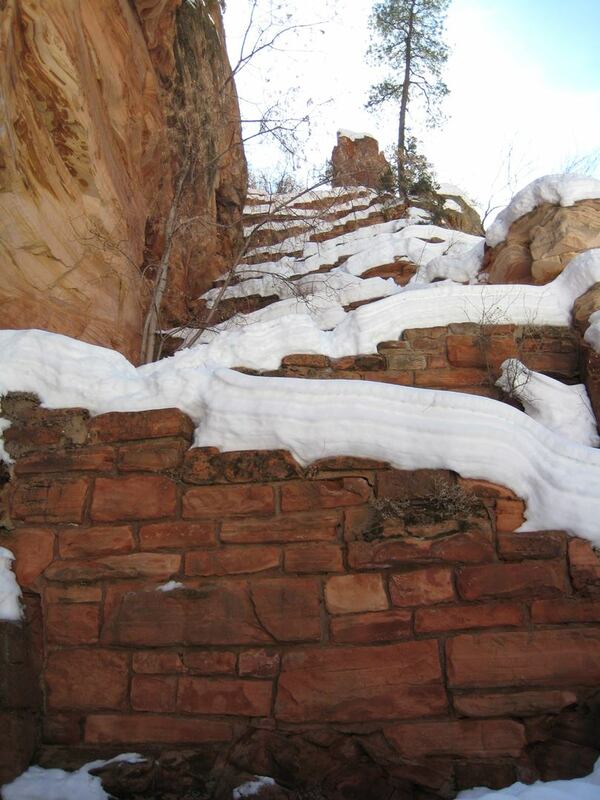 This slot between the sandstone walls is stunningly beautiful and contains many pine trees and scrub foliage. 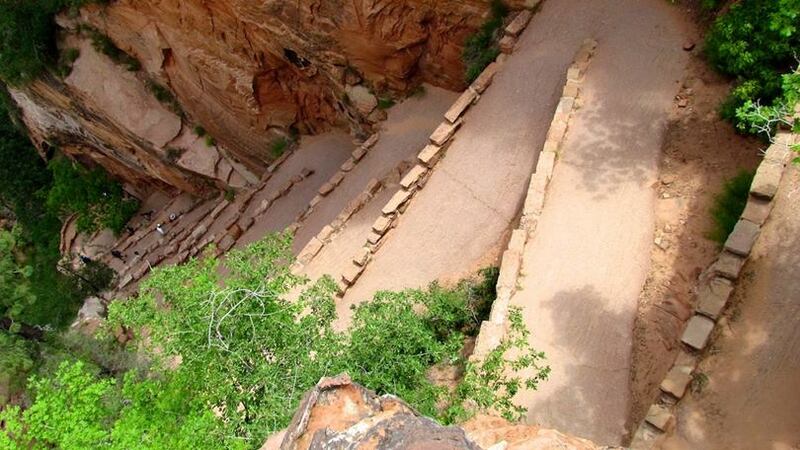 Judging by the amount of sand that covers the paved walkway, there is no doubt about the occasional flash flood and heavy wind gusts that rush through. It climbs gradually northward about a quarter mile until reaching one of the highlights of this trek, Walters Wiggles. 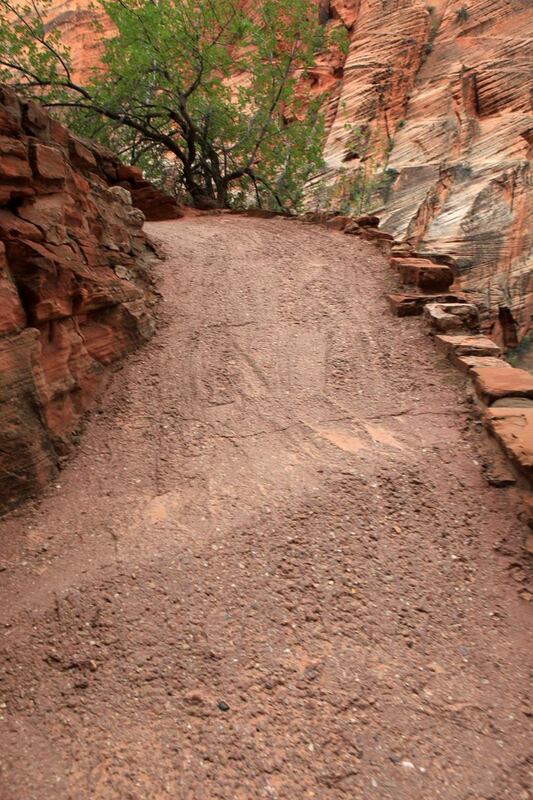 The wiggles take their name from Walter Ruesh, Zion’s first superintendent, who in 1926 began constructing this trail to Angels Landing. The concrete for the job was hauled in by helicopter, taking a total of 258 flights. 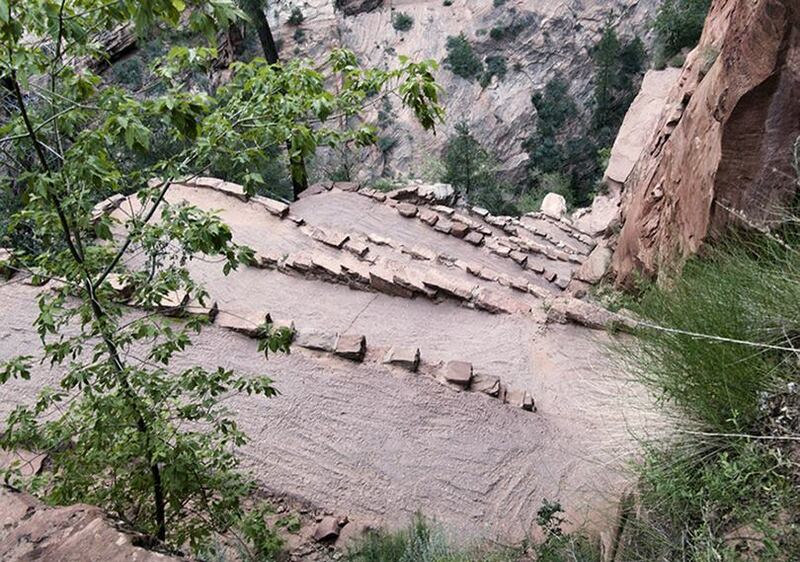 Once we reach the top of Walters Wiggles, The first close-up view of Angels Landing.